When you’ve been seriously injured in a motorcycle wreck through no fault of your own, you need an experienced Raleigh motorcycle accident lawyer on your side. Injuries in these types of wrecks are often severe and the recovery process can be long and difficult. You may be facing surgery, multiple doctor visits and expensive physical therapy sessions. You may need to go after the at-fault driver to recoup damages to help pay for your medical expenses. Choosing the right lawyer to represent you can make the difference between a paltry compensation and a fair settlement. Contrary to Hollywood’s stereotype of reckless riders, most motorcyclists exercise caution while on the road. In fact, other drivers cause most motorcycle accidents. When another driver apologetically admits that they didn’t see you, it does little to ease the pain you’re feeling. When you’ve been hurt due to another person’s carelessness, it can leave you feeling frustrated, angry and helpless. You have every right to pursue a personal injury claim against the driver who hit you. 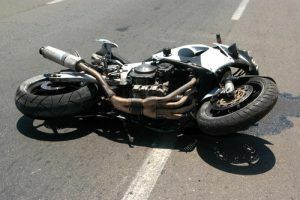 Not just any lawyer will do when you’re trying to get compensation for injuries you received in a motorcycle accident. Mike Maurer has experience as a police detective and an insurance company defense attorney. His inside knowledge of how others in the courtroom think gives him—and you—the edge. To set up your free consultation with a skilled Raleigh motorcycle accident lawyer or to order your complimentary copy of his book, we invite you to call 844-817-8058 today.